Mother's Day is creeping up on us. For me it's the start of Spring, even though technically the first day of Spring was this week I always feel like Mother's Day is the first time it really feels Spring-like to me. I suppose because I always buy flowers I just always associate the day with bright colours and pretty things. My Mum doesn't like a huge fuss, even though she does so much for me and my brothers she would prefer us all to be together than be given lots of presents. I like to make sure I get her a little something just to say thank you for everything she does for us. Much like Christmas and Valentine's day, it's not about the presents but it's nice to have a day to show you really appreciate someone and want to take time to treat them. 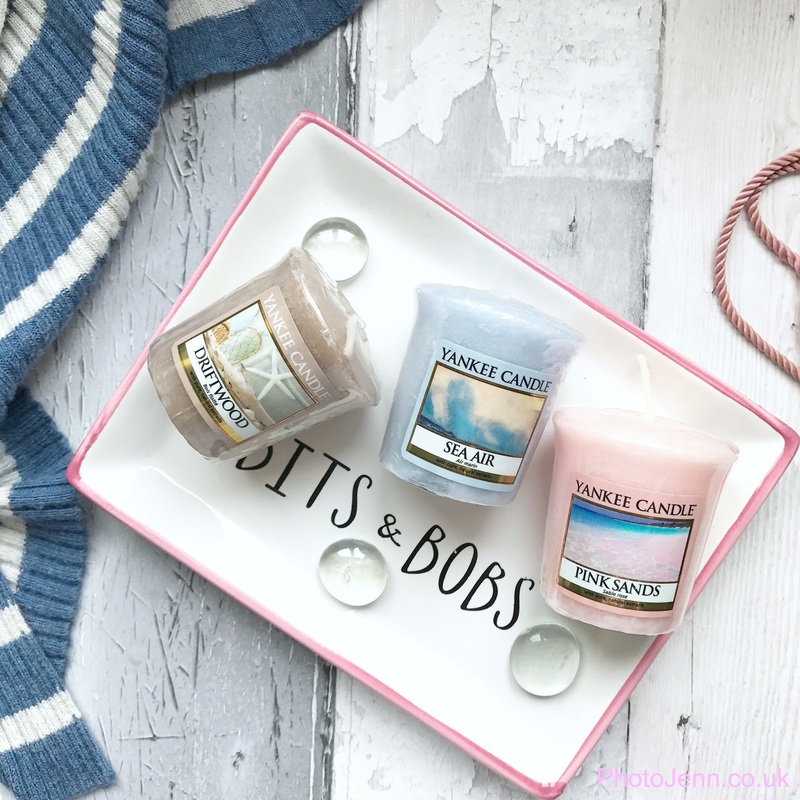 I've already posted about the great Lush Mother's Day range which has some great ideas but I wanted to add a few things I've thought of that would be a perfect treat. My Mum always asks for her favourite foundation and mascara. She usually leaves it up to me to chose a mascara as she chops and changes her brands a lot. I went to get her the YSL Faux Cils mascara one year but she told me not to waste my money - she's more than happy with L'Oreal or Revlon. Her favourite foundation is Revlon's Colorstay and I can't knock her choice there! I plan to pick up some flowers and a Boots voucher as she's not low on any make up at the moment. But I've found a couple of other bits I wanted to share that also make good presents for any Mum. I recently ordered a few Yankee Votive Candles that are perfect scents for Spring. These are super cheap too and a great way to try out a scent without shelling out for a large candle. They're perfect extras to add to a gift. These all have a beach theme which means a lot to my Mum and I as we spent every Summer at our holiday home in West Sussex. The first scent is Pink Sands which is sweet and floral with notes of Citrus and Berry with a Vanilla base. I also added Sea Air which I find really refreshing and crisp. It reminds me of sea water and has a really fresh beach flower scent too. You can't go wrong with a lovely skincare treat. I was recently sent a product from Inner Soul to try out and I just love it, I had to add it to this list. 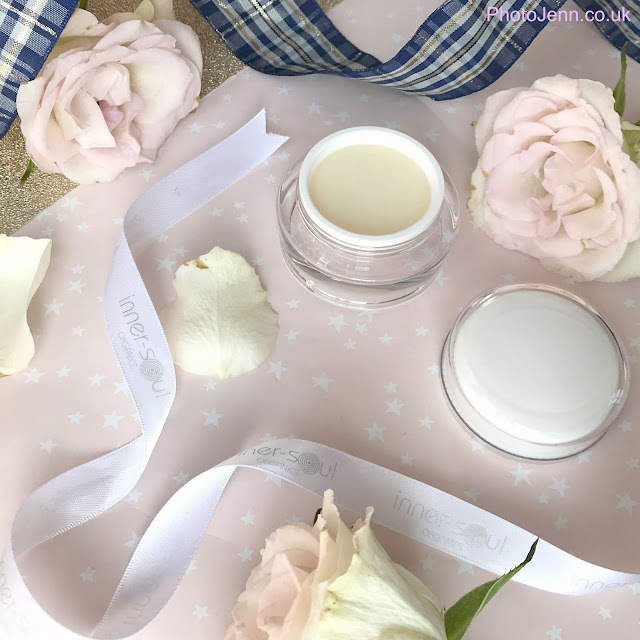 Developed by Emma Coleman, Inner-Soul’s Healing Night Balm* has been designed to use all over the face and support skin healing as you sleep. You only need a small amount (they recommend a berry sized amount of product) Smooth it over the face, neck and eyes before you go to sleep, it's best to use upward and outward sweeps to help with circulation. Press onto areas of imbalance using the fingertips. Take a moment to inhale the relaxing scents of Patchouli and Lavender which naturally hydrate the skin by balancing sebum production and have a deeply calming effect on the mind. The scent is wonderful and I've always had a great sleep when I've applied this. It's made with 100% natural, 99% organic ingredients so it's suitable for vegetarian and vegan lifestyles. Certified organic Mango Butter which provides rejuvenating vitamin A.
Arnica - a natural homoeopathic remedy for dealing with bruising and has been added to this balm to heal and reduce dark circles. Amaranth -extracted from the seeds of the plant, has naturally potent abilities to reduce inflammation and dryness over the skin. And Squalane - extracted from olives -a natural antioxidant and owing to its small molecular structure permeates the skin rapidly. It softens skin, reduces outbreaks and helps to reverse sun damage. That's a whole lot of goodness and a real treat for any Mum who needs some pampering. I'm really loving it so far, I'm looking forward to seeing the long term effects.